Tally-Ho Cafe menu. Includes breakfast menu, a la carte items, mileage distance from Logan, a few suggestions on points of interest in Cache Valley, and the Ann Banellis gift shop featuring Banellis custom smoked turkey and eggs of merit. 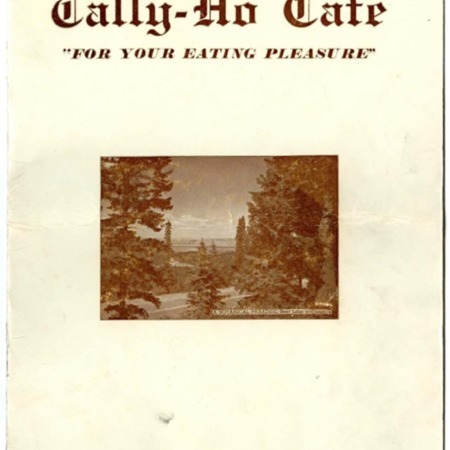 “Tally-ho Cafe menu, 1963 to 1970,” Highway 89, accessed April 22, 2019, http://highway89.org/items/show/10263.